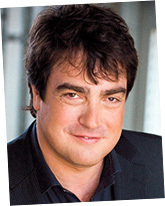 This is Chris Cardell. Welcome to the Free Guide that you requested – which we will also send to you in the post. You are about to discover a series of powerful strategies to help you grow your business, whether you are well established, or a start up. This page has been created to be easy to read on a mobile phone. So if you’re on a mobile, just scroll away because you’re about to discover some secret approaches to business success that will blow your mind. Is your web designer destroying your business? Here is the single most important fact you need to know about getting customers online. It’s a simple but scary statistic. Grasp the importance of this – and you will never think about business or your website in the same way. 50% of people leave the websites they visit within 8 seconds of arriving. Yes. Scary but true. On average, when people visit a typical website, 50% quit that site within 8 seconds. That’s why it’s called ‘surfing’ the web. We arrive at a website, glance at it – and if it’s not exactly what we’re looking for, we leave. That’s fine as a consumer. For you and I as business owners, it’s horrific. If half our potential customers are bailing out within 8 seconds, it’s no exaggeration to say that your business may be half the size it could be, just because of what’s happening within the first 8 seconds of people arriving at your web site. If you’re willing to make a few simple changes to your website, you can get your web visitors to STOP and STAY ON THE PAGE. Here are 5 vital changes for you to make to your website as soon as possible. 1 If the top of your home page is a big picture, or even worse, rotating pictures, everyone will be gone within 8 seconds. Change it to a compelling headline – or even better, a video. 2 Because of the 8 second issue, your home page is 20 times more important than the rest of your site. All of your energy and focus should focus on that page. 3 Test adding an email opt in or form near the top of your page so people can quickly opt in and begin a relationship with you. 4 Make sure that your home page looks great on a mobile phone and put big tap to call buttons all the way down so that people can call you easily from their phone. 5 Don’t rely on your web designers to run your internet marketing. Most of them haven’t got a clue. They are called ‘designers’ for a reason. They design stuff. It’s essential that you master the topic on online marketing so that you can direct your web designers to take the actions that will make you money. Almost everything you’ve been told about social media, Facebook etc is BS. Most of it just does not work! How many times have we been told that all you have to do is get people to ‘like’ you on Facebook and the customers and profits will follow. If you just had a Pinterest account, your customers could see what you sell and they’ll be bombarding you with orders. There ARE strategies that work on social media but you need to be really smart about implementing ones that work. Here’s an example of a brilliant way of using social media to get more customers. Facebook lets you upload your customer list into Facebook – and then they will serve your messages into the newsfeeds of just your customers and prospects – for Free. How cool is that? Clear, precise social media targeting that works. Even better, you can take that list and tell Facebook to look for customers who are just like yours – and only serve messages to them. Facebook is a huge bonus for many smart business owners – but you’ve got to know what you’re doing. One of the key factors in me going from being broke to running a multi million pound business was Email marketing. I now have an opt in list of 412,000 business owners across the world. You don’t need an email list anything close to that size. But you do need to gather customers’ emails and you need to email them – frequently. When I ask business owners how often they email their customers, I’m still shocked at how many say ‘hardly ever’ or even worse, ‘never. That’s just leaving money on the table. 1 You must email your customers at least three times each week. If that seems a lot, bear in mind that most emails are not opened or read. So to your customers, it will feel more like once per week. 2 You must include an unsubscribe option in your emails so that customers can opt out if they want to. 3 If you haven’t already got one, you need an autoresponder. This is the system that lets you capture email addresses from your site and send out emails on automatic pilot, while you don’t do anything. It will even send your emails while you’re asleep or on holiday! 4 Avoid sending emails on Monday morning and Friday afternoon. They are the worst times when response is at its lowest. 5 Don’t send emails with lots of graphics and pictures in them. It’s what most companies do and it’s boring. They don’t work. Send emails with text – that look like the other 99% of email that you receive and read. I’m going to do a bit of mind reading…. Although I don’t know you personally yet, I know that you are reading this on a mobile phone. How do I know that you’re reading this on a mobile phone? Because I’ve designed and written this page just for people like you, on mobiles. It’s designed to be easy to read and informative. All you have to do is read and scroll. I go to the trouble of creating different pages and content for my customers on mobile – and you should do the same. 60% of all website traffic is now on mobile. It’s staggering and it has serious consequences for your business. 1 Your website must be ‘Mobile Friendly’ meaning that everything is easy to read with easy navigation. 2 If you’re in Ecommerce, it’s vital that you make your checkout process very easy on mobile. Otherwise you will see your sales plumment. 3 You need to treat mobile and computer traffic differently, with different messages and styles for each. If you advertise on Google or Facebook, you need separate campaigns for computer and mobile users. You MUST have online video on your website. But it also Must be the right type of video. I frequently see the addition of great video on a small business website increase sales by 100% or more. If you’ve watched people online these days, particularly on mobile, you’ll have seen how people are transfixed by video. Going to a silent, static website these days is like going to the silent movies. Your customers will leave in droves! If you like being on video, great. But if you don’t, you don’t have to be. The best videos are often pictures and graphics edited together – with a professional voiceover reading the script. Don’t put videos hosted on YouTube on your website. Links to other websites can appear at the end of your video – and even worse, your competitors can put their ads on your video! Videos work brilliantly on mobile. People love watching videos on mobile. So make sure they are easy to view on a mobile phone. Don’t just put your videos on your website. They should also be on Facebook and it’s vital that you have your own YouTube channel. At this point, there are a couple of things you should know about me, Chris Cardell. I have a ‘secret’ weapon that took me from being broke and financially destitute 20 years ago to know being one of the UK’s leading business success experts and trusted advisor to thousands of business owners, just like you. 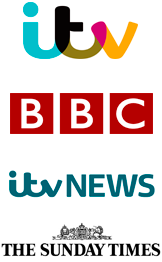 This secret weapon led to me being featured on BBC, ITV, News at Ten, The Sunday Times and Sky News. It led to 800 business owners choosing to spend £2000 to attend my annual ‘Entrepreneur Summit’ where I’m joined by distinguished business luminaries such as Duncan Bannatyne from Dragon’s Den, Karren Brady OBE from Alan Sugar’s ‘The Apprentice’ – even Sir Bob Geldof made an appearance at one of my recent Summits. Pay per Click on Google changed my life and it can do the same for you. It is by far the number one way to get customers into your business. It works whether you sell products or services to consumers or other business owners. In fact, if you’re not doing Google Adwords, it’s impossible for your business to be all that it can be. The second thing you should know about me is that I walk my talk. Over the years I’ve spent £3.5 million of my own money advertising with Google Adwords. I’ve also trained more people in Pay per Click than anyone in the UK. This is all so important for you, I have a Free gift for you on the subject. More on that in a moment. But first, the final of our 7 essential profit strategies. How to Increase Your Prices without losing Customers. The prices you charge don’t just determine your profits. Your prices are also a reflection of how much you value yourself and what you sell. If you don’t appreciate the value of what you sell, how on earth do you expect your customers to appreciate that value? I’m now going to share with you the biggest and most costly, deadly myth in business. When you grasp this – truly grasp it, you will never think about business, prices and money in the same way. Here’s the costly, dangerous myth about business than destroy your chances of success – if you let it. Meaning that the most important thing to your customers is price and if you dare to charge more, they won’t buy. In fact, I’ll prove it to you right now. Cast your mind back to the last time you were in your nearest town or city. Everyone would be driving the cheapest possible cars. Everyone would be wearing the cheapest possible clothes. The men would be wearing the cheapest watches that money can buy. The women would be wearing the cheapest jewellery. Everyone would be buying their food in the cheapest, low end supermarket in town. If you asked people where they went for their last holiday, everyone would have named a low cost UK resort, because that would be the cheapest holiday available. The concept that people buy primarily on price is total and utter nonsense. But this nonsense is destroying perfectly good businesses just like yours, because business owners buy into it and are scared to increase prices. The most successful Entrepreneurs I work with, from start ups to multi million pound businesses all implement what I call ‘Premium Pricing.’ They charge higher prices than their competition but they still dominate their market place. If you want a good, new mobile phone there are many excellent models that are half the price of an i-phone. So why is it the Apple store that’s full? Because Apple understands premium pricing. I have a Free bonus report for you on Premium pricing. If you are serious about growing your business fast - or accelerating the growth of a new business if you’re a start up, I have something very special for you. I want a long term relationship with you. I am very privileged to be the trusted advisor to thousands of business owners across the UK. I believe I can do the same for you. But in business, I also believe in giving first. So, the most important challenge you face in business is sorting out your website and internet marketing. It’s the key to the goldmine. When you master the internet and have a superb website, you can attract customers 24/7. Without that knowledge and understanding, it’s a constant struggle to get customers. Without enough customers, business becomes a never ending financial slog. It’s an in depth 6 DVD Video programme. We send you the DVDs but you also get full online access if you prefer to watch your videos online. On your six, in depth videos, you’ll discover everything you need to succeed online. How to get traffic to your website. How to use Google effectively. How to profit from Facebook. But that’s not all. Most people are only using one or two ways to get traffic to their website. I take you through the multiple ways of bringing customers to your website. Of course, that’s only half the game. Once people arrive at your website, you’ve got to convert them into paying customers. On your Internet Mastery videos, I cover the vital subject of website conversion. What to say on your website. The big mistakes you must avoid. What to say. What not to say. If you’re in ecommerce, vital ecommerce strategies to increase sales. Then we look at strategies like pay-per-click advertising. If you’re not doing it, I’ll show you how to set up a new Google Adwords account. If you are doing it, I’ll show you how to maximise your pay-per-click advertising. We do a whole session on how to do email marketing, who to email, when to email and how to email. We go in depth on Facebook. I show you how to use Facebook to bring in customers 24/7 and these key strategies like putting your customers into Facebook so you can reach them that way. 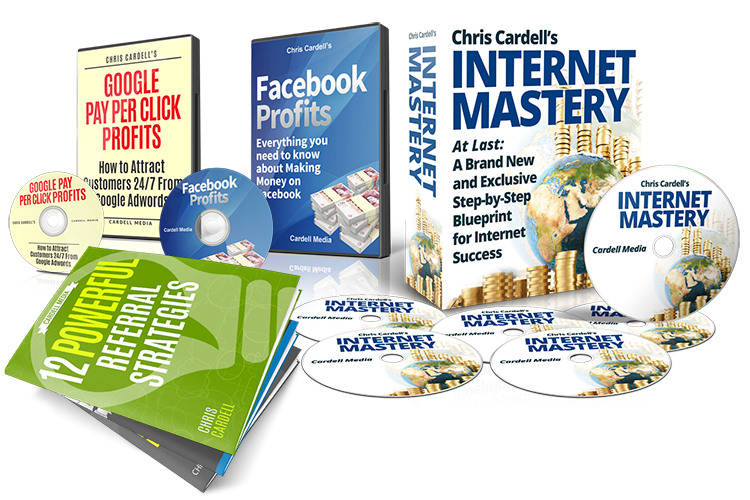 Internet Mastery is your complete blueprint to sort out your website and internet marketing. So here’s what I’m doing for you today that’s quite extraordinary. This resource, the six part video, Internet Mastery, my blueprint for you to do everything online, if you buy it anywhere else, is £1,000. That’s a very fair value because the people who make the most of it will often see a return of £50,000, £100,000 or £250,000. I want you to have this resource. I want you to have this blueprint because when you implement it, it’s a pure win-win. You’re going to be happy because you’re making more money. Chances are you and I will have a long-term relationship. Who knows? Maybe one day you’ll be one of my £60,000 per year clients. There’s something in it for me as well for you to get this and do this, now. But as I said, I’m willing to invest in you at the beginning of our relationship together. While you may have a successful business that can easily afford the £1000 investment, many newer businesses will also be reading this – as well as business owners under pressure from this turbulent and unpredictable economy. If that’s you, I still want you to be able to get your hands on Internet Mastery because sorting out your website and getting customers online is the fastest way to take your business to the next level. When you get Internet Mastery now on this page, instead of £1,000, I’m literally giving it away. If you’re serious about the future of your business, I will gift this to you for just two monthly payments of £47 plus VAT. So I’m even making it easy for you to spread the payment over two months. That’s the entire Internet Mastery Video programme. Not for the normal price of £1000 but for just two easy monthly payments of £47. Now not only am I giving you Internet Mastery for this extraordinary saving – but I’m going a step further. I personally guarantee everything I do. So Internet Mastery comes with this personal 100% guarantee from me. 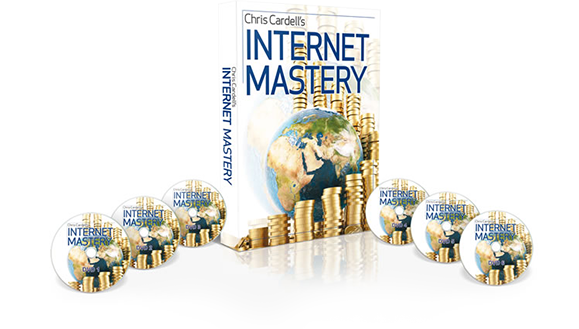 I am absolutely certain that Internet Mastery – everything I’m offering you will be worth thousands of pounds to you. I’m so certain, I’m willing to put myself on the line for you. If after going through Internet Mastery, you are not certain that it’s going to be worth at least £5000 to you and your business in additional sales and profits, just return it to me and I’ll give you a full refund. That’s right. A £5000 Guarantee. It means that you have nothing to lose. You can actually only make money by getting Internet Mastery now. Either it’s worth £5000 or more to you - or if not, I’ll give you a full refund. Either way there is zero risk for you. And here’s the other good news. If you’re watching this on a mobile phone, getting Internet Mastery is easy. All you have to do is tap the button below, confirm your details and you’ll get immediate access to Internet Mastery. I want to get your business going and growing as fast as possible. First, there’s a special FREE BONUS VIDEO I’m going to give you called Facebook Profits. It’s going to show you specifically, step by step, how to maximise your profits from Facebook. It’s going to clear up the confusion people have about Facebook so you’re really clear about what you need to do and how you can tap into the enormous power of Facebook to get more customers into your business. I also want to give you some very special FREE bonus reports. I’m giving you these because I want to give you everything I’ve seen make a huge difference to the business owners I’ve helped over the last two decades. Your first FREE Report is called “12 Powerful Referral Strategies.” The single best and cheapest way for you to grow your business fast is through referrals. There are actually 12 different ways for you to get referrals. Your Free Report shows you how. I’ve been very fortunate over the last 20 years to interact with hundreds of millionaire entrepreneurs. Some of them are very famous, like Sir Richard Branson. Others work under the radar but they have one thing in common: They’ve taken ordinary businesses and turned them into extraordinary businesses – and become Millionaires in the process. I’ve discovered 21 key traits that the Entrepreneur Millionaires have in common. As a gift, because I just want to get our relationship going and give you some really cool stuff, I’m going to send this priceless report to you with Internet Mastery along with these other bonuses which, all together if you paid for them, would cost you over £1,000. So, go ahead and claim your Internet Mastery. You have absolutely nothing to lose and everything to gain. You have a 20-year reputation from me on doing this with hundreds of thousands of business owners across the world. Please note, If you go away from this page, it all goes away and the price goes back to £1000. Remember it’s all backed up by my extraordinary £5000 Guarantee. If you’re not convinced that Internet Mastery is worth £5000 pounds to you, just return it and I’ll give you a full refund, no questions asked – plus you can keep all the bonuses as a special thank you from me. Hopefully we’ll meet one day, maybe at my events or seminars. I really look forward to working with you personally to help create the success you deserve. Tap on the button below – and lets get going!